Choosing an appropriate impression material is a challenge for many dentists, yet an essential component to providing an excellent clinical outcome and improving productivity and profit. Almost every patient who enters a prosthodontic practice needs an impression at some point. However, with the wide array of impression materials available, it is often difficult to choose the proper product for each situation. In addition, from a business point of view, it is preferable to minimize the number of materials needed in the dental practice. This is especially true of larger practices with many dentists and support staff. As a result, carefully selecting and stocking an accurate and reliable impression material is an important task. Although the accuracy of an impression does not completely rely on the material itself, selecting an appropriate material is an essential part of the process. A primary concern with impressioning is the fact that many impressions are often inadequate, and are sent to commercial laboratories with these deficiencies. These deficiencies include voids, inadequate capture of margins (especially subgingival margins), poor extension, and other defects. 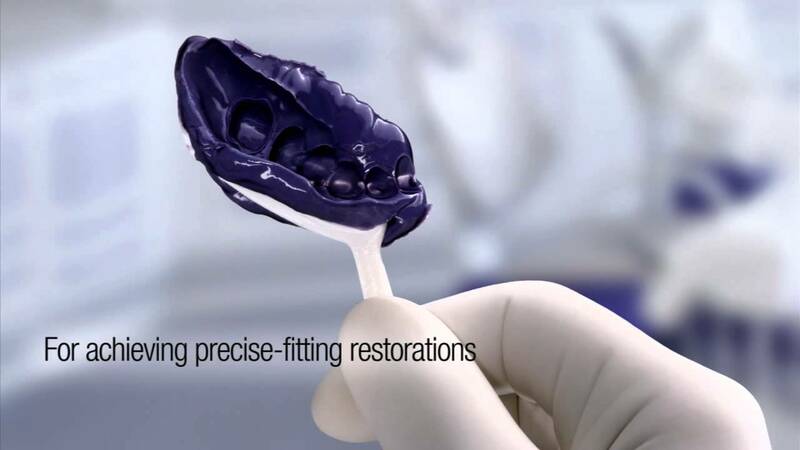 Combining the proper impression material with an optimal technique is vital in achieving a well–fitting restoration requiring little or no adjustment. Given the current advanced technology of impression materials, creating accurate impressions generally relies less on the material and more on the clinical procedure. However, in many situations, there is still an advantage to using polyether impression materials, which have certain properties that often make them superior to their counterparts. Not only are polyethers versatile, meaning they can capture an excellent impression in difficult situations, but more importantly, they provide consistent results. I have watched them evolve during my 25 years of experience with polyethers, and I can attest to their high–quality results. However, alginate does need to be poured immediately if accuracy is desired. Multiple pours are not reliable, and accuracy of soft tissue areas is not guaranteed due to the viscosity of the material. Most dentists still mix the material by hand and therefore incorporate inaccuracies by virtue of poor mixing and improper powder/liquid ratios. Other materials are available that can help with these deficiencies. Alginate replacement VPS materials have many benefits for diagnostic and preliminary work. Not only can they be poured multiple times, but the material is not mixed by hand, which reduces clean–up time. It is important to note that unlike the procedure for alginate materials, alginate replacements must be inserted vertically, not rocked into position, and be completely stabilized during the setting period. Alginate replacement VPS material is best for diagnostic and preliminary casts because impressions made with this material have excellent dimensional stability and can be poured later. We often use this material at the end of the day or on Fridays when we know the lab may not be able to pour the impression in a timely manner. Alginate replacement VPS is ideal for matrixes for crowns and bridges, orthodontic casts, whitening trays, athletic mouth guards, or anything else that needs additional accuracy, such as a vertical dimension splint. Additionally, it is useful when the dentist would like to pour the diagnostic cast a second time to create an archival cast. When it comes to precision impression materials, the two most common materials now used are polyethers and VPS. While polyethers are inherently hydrophilic from the start of mix to the final set, VPS materials are inherently hydrophobic but made to become hydrophilic through the addition of surfactants. VPS materials become hydrophilic during the setting of the impression. Clinical reality suggests that the mouth presents as a moist environment regardless of attempts to dry it with air syringes, anti–sialogogues, cotton rolls, and dry pads. Crevicular fluids, blood, and saliva are often present, even with the best retraction techniques. Due to their hydrophilic nature, the oral environment is better tolerated by polyether materials. In addition, many dentists prefer polyether materials for precision (master) impressions because of their superior flow behavior, especially in difficult environments. Polyether materials consistently capture the fine details required in implant, denture, and fixed crown and bridge prosthodontics. However, there are common myths surrounding polyether impression materials that need to be clarified. While the polyethers of 40 years ago earned a reputation for being stiff and having an unappealing taste, technological advancements make today’s polyether materials less rigid and better tasting. Current materials are easier to remove, making them ideal for many impression situations, including the dual–arch impression. There is no need to use custom trays with polyether impression materials. Conventional stock trays support the material adequately and allow for increased thickness of the material. This adds to the flexibility of the material (when compared to a custom tray) and therefore makes it easier to remove from the mouth. Other advancements have improved the material’s flavor and texture. Thus, even though polyether was one of the first impression materials on the market, improvements over time have made it as useful as ever. Polyethers are more accurate, consistent, predictable, and user–friendly than in the past, making them one of the most superior materials available. Several characteristics of the material help explain its consistent accuracy and reliability. Most notably, polyether’s hydrophilicity gives it an advantage that VPS materials simply cannot match. The hydrophilicity of unset impression material determines how well it flows in moist areas. As previously noted, moisture persists in most clinical settings, making the material’s ability to adapt to these conditions crucial for accurate impressions. Polyether is often the impression material of choice in cases where wetness during the impression process may be an issue. This includes situations of bleeding, tissue exudation, salivation, and subgingival margins. Moreover, hydrophilicity is arguably most important for laboratories to help prevent bubbles during pouring of stone. For these reasons, attraction to water is one of the most significant considerations when choosing an impression material. The chemistry of polyether material makes it inherently more hydrophilic than VPS. Although surfactants allow polyvinyls to have hydrophilic properties when the material is set (this helps with lab pouring of casts), they do not enhance the accuracy of impressions during the impression process. The setting characteristics of an impression material can also make an important difference in its clinical performance. As we know, there are two basic set times for impression materials — regular set and quick set. Quick set materials were introduced to reduce the amount of time for setting in patients’ mouths. However, along with this reduced setting time, comes a corresponding decrease in working time. Most quick set materials are only indicated for syringing one or two teeth if the clinician is working quickly and within the material’s working time guidelines. Regular set materials are indicated for syringing multiple teeth or where the clinician believes there is a need for more time, especially during the syringing procedure. VPS materials begin to set as soon as they are mixed. The viscosity of these materials increases to a point at which their flow characteristics are no longer suitable to capture detail, ending their working time. However, polyethers are different. Their working time is actually the clinician’s working time due to the materials’ different setting behavior. Polyethers go through a “snap set,” meaning the material’s initial viscosity upon mixing remains relatively unchanged throughout the working time, and rapidly changes during the rest of the setting phase. Polyether materials have excellent flow properties from the start of the mix until the end of the stated working time. This is one of the properties that allows for the capture of fine details even when syringing multiple teeth. Stiffness is another important factor in selecting an impression material. Polyethers are stiffer than polyvinyls, which is probably why they are preferred for implant work. However, polyethers can be more difficult to remove from the mouth precisely because they are stiffer. To counteract this issue, it is recommended that clinicians use only custom trays for removable prosthodontics. For fixed prosthodontics, stock trays are recommended. As a general suggestion, crown and bridge work does not need a custom tray. Finally, the general workability of an impression material can be improved with electronic mixing devices, such as the Pentamix? 3 Automatic Mixing Unit by 3M ESPE. These tools provide a standardized mix, which increases working time and results in less material waste. Since most of these devices provide both standard and quick set abilities, they adapt the material to the impression being made. As clinicians everywhere have experienced, the cost of doing business today is very high. If one spends too much time seating a crown, the profit margin is significantly affected. Therefore, it is in everyone’s best interest to use materials that minimize adjustment time. If an appointment needs to be rescheduled because a new impression is needed, the profit of the case is significantly affected, to the point where a dentist may be working at a NONprofit level. To increase productivity in dental practices, it is essential to simplify the processes, equipment, and materials used. Many dentists improve efficiency by purchasing enough equipment to make all rooms carbon copies of each other. Polyethers are also available in the garant gun, which makes properly equipping your office easier and affordable. Beyond familiarity, streamlining equipment enhances productivity tremendously and ensures the right tool is in the right place at the right time. Moreover, the more organized the dentist is, the more confident he/she appears, and the better experience each patient has. By selecting the best material for making the impression, clinicians can drastically limit the number of remakes, which significantly reduces the cost of making impressions. Polyether materials are similar in cost to polyvinyl materials, but clinicians can use auto–mix machines and dual–arch methods to prevent waste and save money. Using polyether material also saves money due to its accuracy, which results in better–fitting crowns and reduced crown adjustments. This improves productivity and saves dentists money in rework time. It pays for a dentist to try a number of materials to determine what is best for his or her practice. Keeping the variety of impression materials in the practice to a minimum streamlines the process. While trying the materials, it is important to consider the number of steps required to make the material work, along with its availability and advantages and disadvantages. Most dentists find making impressions one of the most challenging and frustrating procedures. To achieve the highest level of success, ensuring a consistent quality of impression is important, especially in the presence of moisture. Through research and experience, many clinicians have found that polyether impression materials create the most precise impressions. When polyether’s material properties are understood and the material is used correctly, the combination can be highly satisfactory for clinician and patient. Dr. Izchak Barzilay, DDS, Cert. Prostho., MS, FRCD(C), is head of the Division of Prosthodontics and Restorative Dentistry, Mount Sinai Hospital, Toronto, Ontario, Canada, and assistant professor at the University of Toronto. He is in private practice limited to prosthodontics and implant dentistry. Dr. Barzilay can be contacted at (416) 322–6862 or at ibarzilay@buildyoursmile.com.